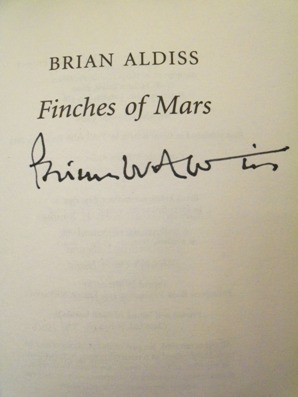 Synopsis : Brian Aldiss has announced that this book, Finches of Mars, will be his final science fiction novel. And what a way to end one of the most illustrious careers in the genre. Set on the Red Planet, it follows a group of colonists and the problems they have in setting up a new society. Life can be sustained but new life will not prosper - the women on the planet only ever give birth to stillborn children. Exploring many of the author's classic themes, this is a landmark novel in any genre.